Can you imagine a weekend in your backyard with this is Grill Island? 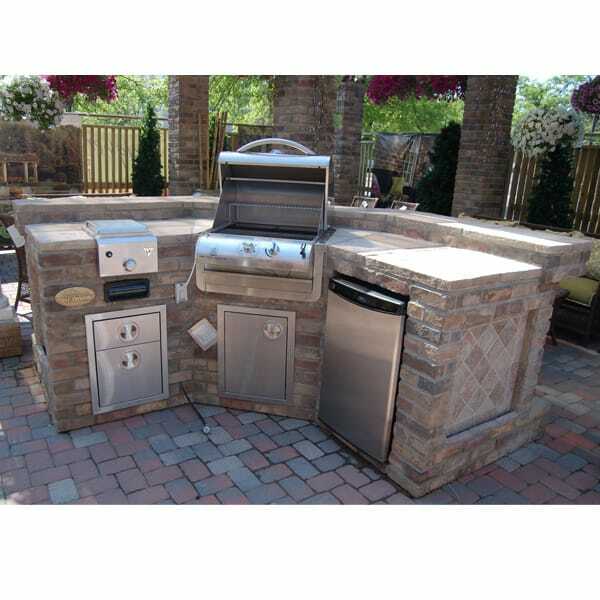 The "Hills" Grill Island Project by Leisure Select is an outdoor kitchen, complete with a refrigerator, a side burner, storage, drawers and a built-in gas grill. Now you have an Outdoor Room where you can cook steaks, hamburgers and hot dogs while socializing on weekend nights or watching football on Saturdays and Sundays. This grill island is designed by you; customize your outdoor grilling experience by swapping out the stone or tile to match your patio, porch or home's exterior! 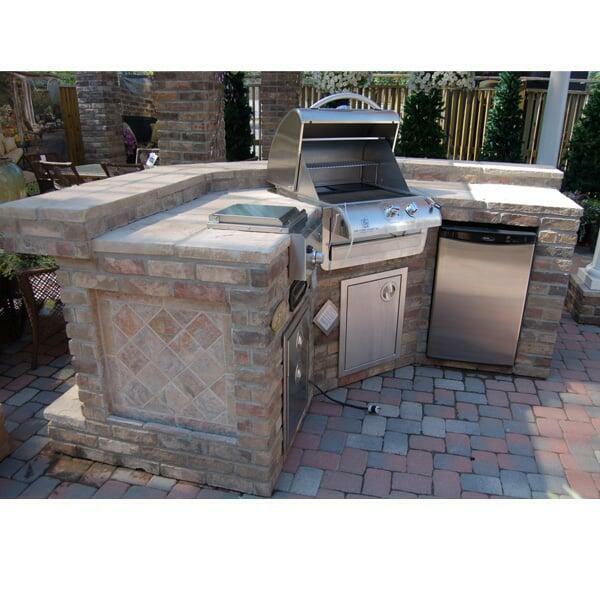 And with Family Leisure, we always have grill island projects on sale and at the best prices, so we promise you will save money on your grill island purchase. It's time to put the finishing touches on your backyard! Contact us today and ask about the "Hills" Grill Island Project by Leisure Select!